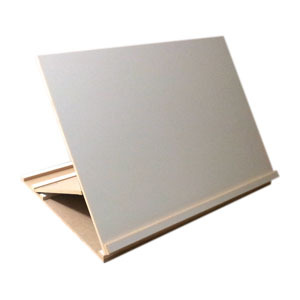 A drawing board ideal for calligraphy and watercolours, also suitable for drawing oils and acrylics. The Calligraphy Board tilts to 3 different angle settings. Australian made.